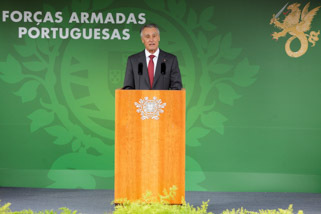 The President of the Republic addressed a message of condolences to the Family of the Deputy Governor of the Bank of Portugal, Dr. António Marta. “Upon receiving the news of the passing away of Dr. António Marta, I address the bereaved Family my deepest condolences. A staunch European with a deep knowledge of community issues, António Marta performed an essential role in Portugal’s joining the European Communities. Between 1994 and 2006 he held the office of Deputy Governor of the Bank of Portugal, always keeping to his firm drive for the European project and in Portugal’s participation in the Union. His professional competence and his personal and ethical qualities are unanimously recognized by all who had the privilege of his acquaintance. With his passing away, Portugal has lost a respected economist and a European citizen famous for his independence and his ethos.